This wonderful yoghurt drink is the perfect thing to cool you down after a day in the sun, or to complement a spicy meal. 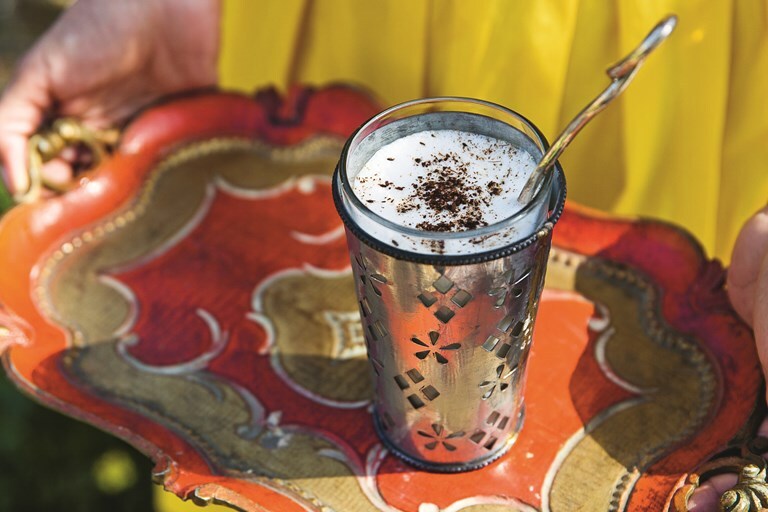 Sumayya garnishes her lassi recipe with dry-roasted cumin to enhance the salty flavour of the drink. Pakistani lassi is salty when paired with food, and sweet when drunk as a refresher between meals. The frothy topping comes from a lot of blending, which is traditionally done with a wooden hand whisk, but can be achieved with a blender. Using whole milk and yoghurt works best. Recipe and images extracted from Summers Under the Tamarind Tree: Recipes & Memories from Pakistan by Sumayya Usmani, photography by Joanna Yee. Published by Frances Lincoln, £20.00.